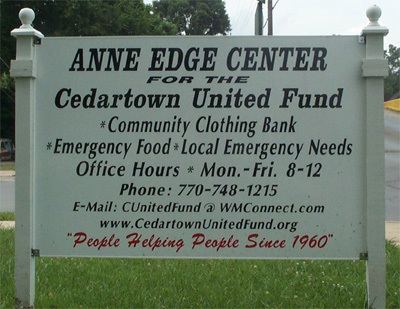 The Cedartown United Fund is located on the corner of Collage Street and Ware Street. We accept all donations during our operating hours between 8AM until 12PM. We can also provide a tax-deduction form for your taxes. Please come visit us to find out more ways you can help those in need in your community.